A security system that keeps you safe when you are home, and keeps your home safe when you are away. Preview streaming video from your security cameras right on your smart device. At home, or away, use your touch screen as a video intercom system so you can see who's at the door. Smoke detectors provide the ultimate protection of life and property and are professionally monitored 24/7. All you have to worry about is getting you and your loved ones out. Designed for the way today's connected consumers really live. Responds to speech commands, literally giving your home a voice and enabling convenient, hands-free control. 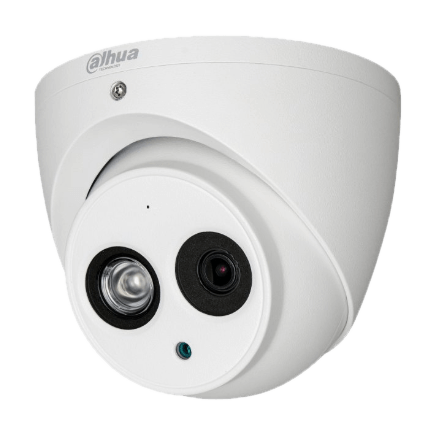 Built-in front-mounted camera can snap a picture when the system is disarmed and notify you on your smart device. Users can control security, thermostats, lights, locks and video with one touch--at the display or via their smart devices. GSM (cellular) radio is the most reliable communication option available in the security industry. Contemporary design blends with any dècor. Smart phone control delivers a great user experience, while keeping customers connected to their homes or businesses. Users can receive iOS push notifications and real time text, email and video alerts when important events occur. Dual element sensor with 30 ft. by 50 ft. range. Lithium battery with up to 5 years life. Lithium batteries with up to 5 years life. 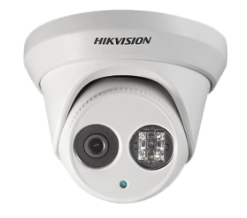 The Hikvision DS-2CD2352-I EXIR CMOS Network Turret Camera is a versatile solution forall of your security needs. It features a powerful 5MP sensor that captures images with 2688 × 1520 resolution at up to 30 fps.